Don’t you just hate it when your nails start peeling and breaking just when you want them longer? It can be a serious buzzkill. Frustrated, one of the first things you might do is grab a pair of clippers and trim your nails out. Instead of solving the issue, you’re actually making your nails a lot weaker and more prone to splitting at the edges if you trim them that way. This is where nail hardeners become important. Nail hardeners contain proteins, calcium and other ingredients that can boost your nails’ natural growth. They can help bring back the strength of your nails’ structure so that they can become a lot more resistant to damage, peeling and splitting. Now that we’ve got those things covered, here are the best nail hardeners you’ll soon be bragging about to your close friends. 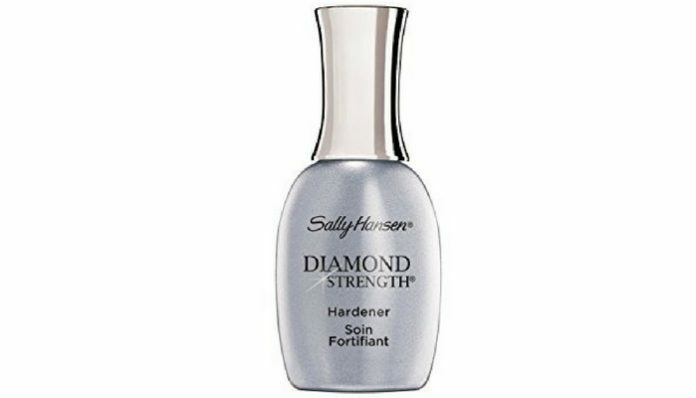 Sally Hansen Diamond Strength Instant Nail Hardener easily tops this list of the best nail hardener. It’s formulated with real micro-diamond and titanium to strengthen nails and seal their fragile layers. It creates a shatterproof shield to make sure your nails don’t experience further damage as they recover. This nail hardener comes with a thin brush but this won’t make application hard. In fact, it makes application less messy. As for consistency, it’s a bit thin and feels more like a regular top coat. Despite the effective formula, you can’t expect this product to work right away. It can take a few application before you can see a dramatic change in your nails. The grey color of the bottle is a bit misleading. It doesn’t work in an instant. OPI Nail Envy Nail Strengthener is formulated with calcium and wheat protein to make your nails stronger and longer. This nail hardener applies very easy and smoothly. It dries in a matter of seconds, making it perfect for those who don’t like waiting too long. It has a cloudy consistency but it dries clear. Its consistency is very thin which can make it hard to smooth out the imperfections on your nails. One interesting thing about this nail polish is that it’s available in different colors. Although the shades are not as intense as your regular polishes, they can still add some fun hint of color on your nails while strengthening them. You can buy them in different shades! 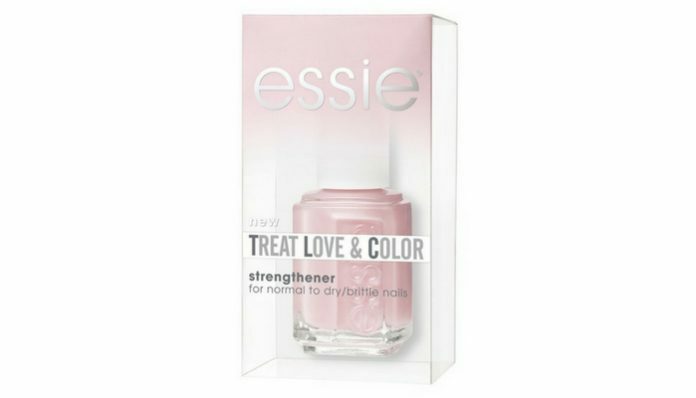 If you are looking for a nail hardener that’s free from formaldehyde, Essie Treat Love and Color Strengthener for Normal To Dry/Brittle Nails is the one for you. It’s also free from DBP and Toluene. This nail hardener is formulated with collagen and camellia extract. It’s lab-tested to give you up to 35% less breakage and 60% less peeling in just one week. It might sound like an ambitious claim but it definitely works. In addition to strengthening your nails, this product can give your nails a wash of sheer color. It can brighten nails, too. 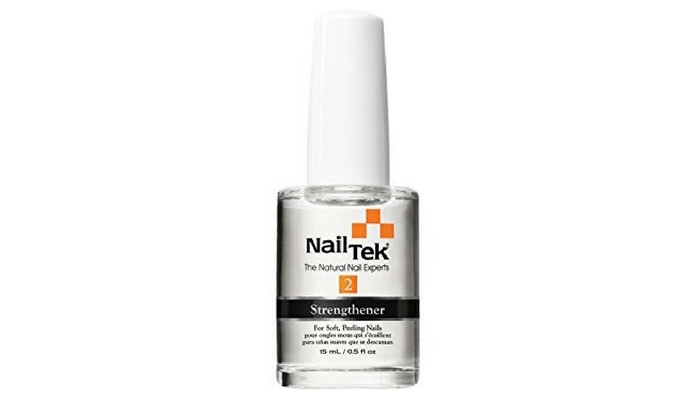 Nailtek Intensive Therapy-2 Treatment for Soft Peeling Nails is another great product for soft, peeling nails. It promotes not just strength but flexibility, too. You don’t need to use too much of the product. In fact, one or two coats are enough. If you apply more layers than that, your nails will look too shiny and gooey. This nail hardener works well as a base coat. After applying one or two coats of your favorite polish, you can apply another layer of this nail hardener on top, too. Just remember to give the layers enough time to dry. 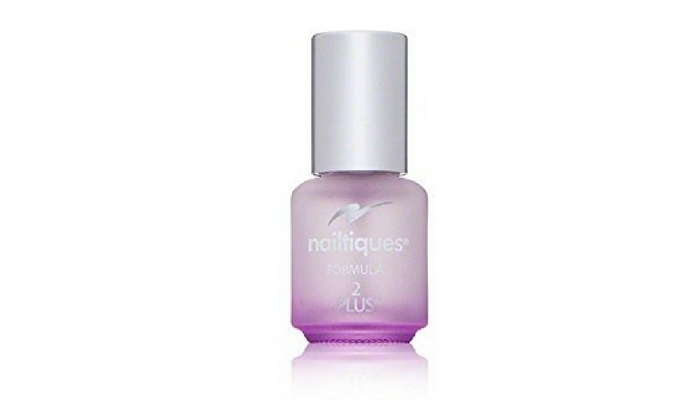 Nailtiques Formula 2 Plus is another great product to try for strengthening and making nails harder. It’s formulated with protein to bond the parts of your nails that are peeling. It applies evenly and is not too thick or too thin. To get its full benefits, you have to apply it on your nails once a day. Do not go more than that and make sure to avoid applying some of the formula on your cuticles. It will make them harder, too. So, when you apply the product, don’t move your hand for about 30 seconds after. Another issue you’ll probably encounter with this nail hardener is its tendency to thicken over time. But, since the bottle is small, you could have probably used up all the product before its consistency becomes an issue.